After desaturing the photo to B&W I've added Kim Klassens 'Golden' texture at soft light 40%. The same texture in a pink hue as a background for the text. A layermask on the photo to bring back a little color. All processing is done in GIMP. O, o als dat niet mooi is! Superfoto om mee te starten maar ook het z/w effect met dat toetsje kleur is prachtig! WOW Dymphie ... b&w with just a touch of color looks brilliant! 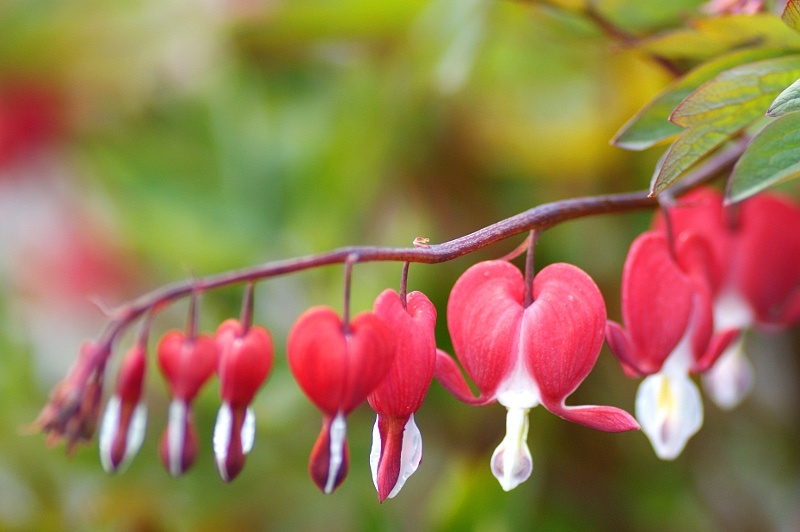 Bleeding Hearts are such a beautiful flower too! Very beautiful. The way you have just the touch of red really makes it wonderful. And, I am going to try using GIMP a little. You do amazing work with it.